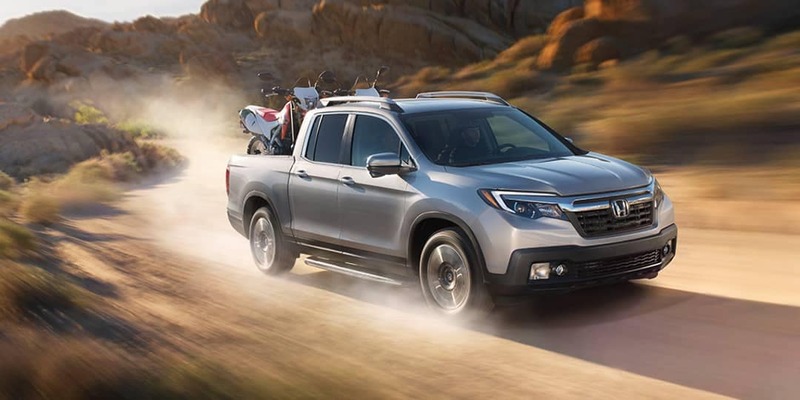 The 2019 Honda Ridgeline is an innovative and capable pickup truck. It’s loaded with comfort, technology, and even luxury features that many drivers might be surprised to find on a pickup. 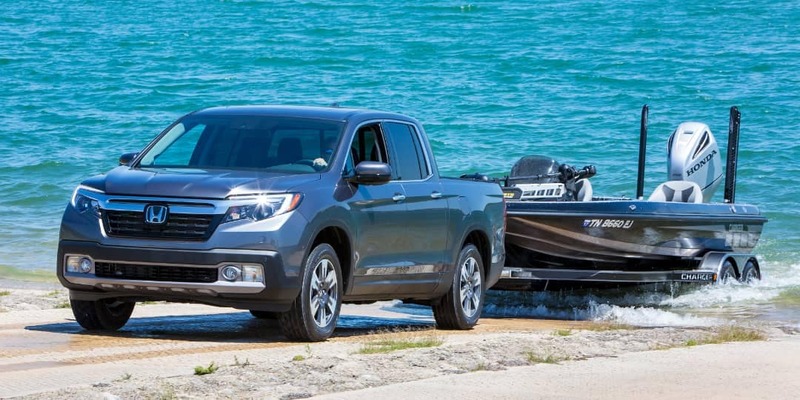 But it’s the power, AWD, towing and cargo capacity that makes the Ridgeline not only a refined and sophisticated truck, but a tough and capable one too. Powering the Ridgeline is a 3.5L V6 engine. It produces up to 280 horsepower and 262 lb-ft of torque. It offers drivers quick acceleration, which can make trickier driving situations, such as merging onto the highway, much easier. And with features such as Hill Start Assist, Eco-Assist System, and paired with a 6-speed automatic transmission, the power is expertly transferred to the wheels, making for an efficient performance. The Ridgeline comes with an available Intelligent Variable Torque Management AWD System. The system is available on the Sport, RTL, RTL-T, and comes standard on the RTL-E and Black Edition. It ensures that the Ridgeline stays performing at its best, no matter what the weather or road conditions are like. With better traction control, enhanced handling, and added stability, The Ridgeline can tackle slippery, snowy, or loose road surfaces with ease. For drivers who opt for 2WD, the Ridgeline comes equipped with Intelligent Traction Management with a setting for snow, which can be crucial in the winter months in Michigan. Whether you choose the 2WD or AWD, the Ridgeline is ready to tow and tackle tough jobs. The towing capacity varies slightly depending on which drivetrain is right for you. For smaller jobs, the 2WD Ridgeline can tow up to 3,500 lbs, which is sufficient for smaller or lightweight trailers. For drivers who need more towing capacity, consider the AWD version, which can tow up to 5,000 lbs. The Ridgeline offers an impressive payload, ready to carry whatever kind of cargo you need to transport. The payload capacity varies depending on which drivetrain and model is right for you, with the AWD version better equipped to handle more weight and a bigger payload. The box of the Ridgeline is large and spacious. It was designed with minimal wheel well housings to maximize the floor space and hauling potential. Drivers will even be able to slide whole 4 t by 8ft sheets of plywood in the bed with a total cargo volume that measures at 33.9 cubic feet. The truck bed is 64 inches long with the tailgate up and 83.0 inches with the tailgate down. The width at the wheel wells measures 50.0 inches, while the width between the bed walls measures at 60.0 inches. The Ridgeline features even more storage compartments for cargo in addition to the truck bed. Under the 2nd row seat inside the cabin, there is a convenient underseat storage measuring at 2.9 cubic feet. The Ridgeline also features an in-bed trunk, measuring at 7.3 cubic feet. It comes equipped with a drain plug, making it a great place to store wet or damp cargo items with an easy cleanup process. Ground clearance is the distance between the road and the lowest point of the underside of the Ridgeline. The Ridgelines has a ground clearance of 7.8 inches with the 2WD version, and 7.87 inches with the AWD. 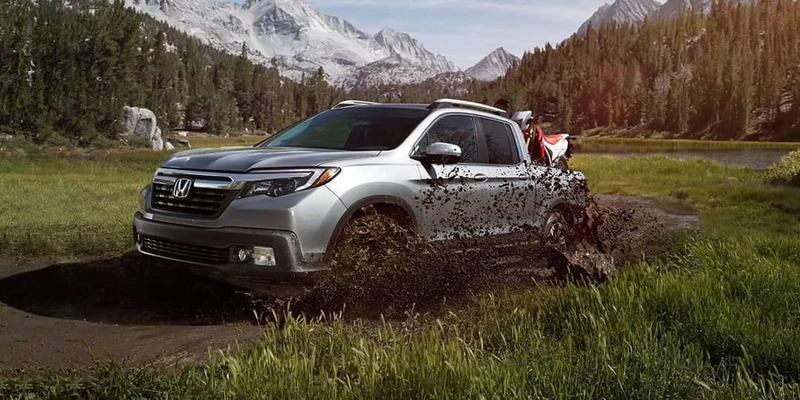 Its high ground clearance means the Ridgelines is poised for going off-roading or driving over small obstacles or loose or bumpy road surfaces without damaging or scraping the underside body. So whether you’re heading to a remote campsite or are driving off the beaten path, the Ridgeline stays high above it all. Find out more information on the 2019 Honda Ridgeline by contacting us or visiting your nearest Mid-Michigan Honda Dealer. Explore current offers and experience the Ridgeline first-hand when you sit behind the wheel with a test drive today.